You may remember Scotty Allen and his excellent YouTube channel Strange Parts (one of the best recent additions to my subscription list) for a video he shared in September about adding a headphone jack to the iPhone 7. After modding his iPhone with a custom case and backlit logo, Allen is back with the "ultimate" upgrade: after many failed attempts, he was able to replace his iPhone's built-in storage, expanding it to 128 GB (up from 16 GB). As with his headphone jack video, this is not a process that most people can try: it involves soldering, obtaining a compatible iPhone flash storage unit, and a device to manipulate data directly on the chip. However, this is a fascinating look into the world of spare iPhone parts available in Shenzhen, and I highly recommend watching the video below. 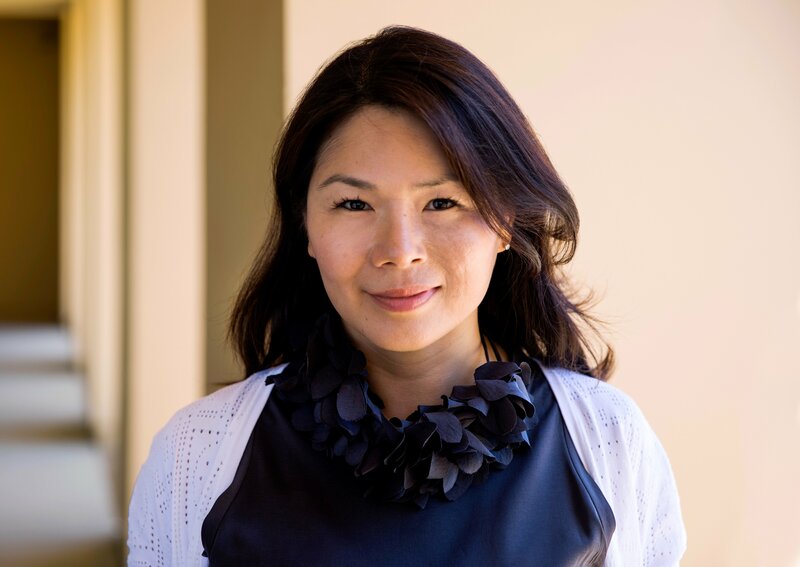 Apple has announced that it has named Isabel Ge Mahe Managing Director of Greater China, a newly-created position within the company. Ge Mahe most recently led Apple’s wireless technology engineering teams working on cellular, WiFi, Bluetooth, NFC, location, and motion technologies. She has also overseen the engineering teams developing Apple Pay, HomeKit, and CarPlay. As Ge Mahe’s appointment underscores, China is an important market for Apple. The country accounted for 29% of Apple's revenue in the March 2015 quarter according to Recode. Since then, however, revenues generated in China have slipped as the iPhone has lost market share to other mobile phone manufacturers. [Workers] file steadily into dozens of factory sites, spread out across 2.2 square miles. At the peak, some 350,000 workers assemble, test and package iPhones — up to 350 a minute. As China and the United States both brandish a new form of economic nationalism, they risk disrupting the system, without necessarily achieving their goals. iPhone City is a complex system that developed over several years and involves economic incentives provided to Foxconn by local and national Chinese governments, intricate tax strategies that lower Apple’s costs, and a state recruited and trained labor force. We’ve had peeks at the enormity of Foxconn’s iPhone factory in the past, but Barboza goes further, with an excellent explanation of how interconnected each piece is. It may not have made the front page headlines, but Apple just concluded a significant week-long tour of India and China. Tim Cook has made numerous trips to China in recent years, but this was the first time that Cook visited India on an official trip as CEO of Apple. The trip also comes at a crucial time for the company as it begins to make big strategic moves to attract more Indian consumers, and at a time when Apple’s growth in China last quarter screeched to a halt after a period of huge growth. Apple today announced an update to GarageBand that celebrates the rich history of Chinese music with new instruments and extensive Chinese language localization throughout the app. Building on GarageBand’s extensive collection of sounds, this update adds traditional Chinese instruments — the pipa, erhu and Chinese percussion — along with 300 Apple-created Chinese musical loops, giving users the power to tap into their creativity and make beautiful Chinese-inspired music right on their iOS device or Mac. GarageBand for iOS users also get two new Chinese templates for Live Loops, and new sharing options to popular Chinese social networks, so they can easily share their music creations with friends and followers across QQ and Youku. There's also a video of Tim Cook and Chinese musician JJ Lin making some music with these new Chinese instruments in GarageBand. There's no doubt that this is a very nice update to GarageBand which will be appreciated by many millions of users in China and around the world. But what I find even more interesting is that Apple took the time to publicize the update in a press release. It's yet another example of Apple's strong efforts in courting Chinese users and the Chinese government as the region becomes even more important to Apple's future. Below the break I've listed every single press release from Apple since the beginning of May last year and you'll notice that five press releases are dedicated to China-specific announcements (in bold). The only other country-specific announcements are the UK Apple Pay announcement and Europe's first iOS App Development Center in Italy. Apple Pay today launched in China, where Apple has partnered with China UnionPay which operates the Chinese inter-bank network (in a role analogous to that of Visa and Mastercard). Jennifer Bailey, vice president of Apple Pay, told Reuters that Apple Pay supports 19 of China's biggest lenders, which means that 80 percent China's credit and debit cards are eligible for Apple Pay at launch. Bailey also noted that Apple Pay is currently accepted at about one-third of all locations that accept the supported cards. Unsurprisingly, Bailey thinks that "China could be our largest Apple Pay market". That is no surprise, in the other Apple Pay markets there is either a shortage of locations which support Apple Pay (United States) or shortage of financial institutions which support Apple Pay (Australia, Canada). The UK is the only country that has a high level of retail location acceptance and financial institution support – but the population of China far exceeds that of the UK. Apple's approach is to not compete with banks and UnionPay, said Bailey. "China UnionPay and our Apple Pay solution has a huge advantage, given the footprint of China UnionPay," she said. "Its merchant acceptance network far exceeds what any of the other mobile platforms have today." For a full list of the supported financial institutions in China, view this page on Apple's website. Apple Pay is available in China at retail locations, as well as in iOS apps. Update (18 December): iMore has a quote from Eddy Cue which lists some of the banks that will support Apple Pay in China; Agricultural Bank of China, Bank of China, Bank of Guangzhou, Bank of Shanghai, China Construction Bank, China Ever-bright Bank, China Guangfa Bank, China CITIC Bank, China Merchants Bank, China Minsheng Bank, Industrial Bank, Industrial and Commercial Bank of China, Ping An Bank, Postal Savings Bank of China and Shanghai Pudong Development Bank. Apple today announced a partnership with China UnionPay, which will see Apple Pay available to Chinese customers as soon as early 2016. China UnionPay operates the Chinese inter-bank network and develops the UnionPay Card network – and its role in China is somewhat analagous to that of Visa and Mastercard. Apple says that it is working with China UnionPay to launch Apple Pay with 15 of China's leading banks, but provides no firm date apart from saying it will available as "soon as early 2016". According to Apple, the service needs to go through "tests and certification required by Chinese regulators". At this stage it is unclear which 15 banks will be supported. China UnionPay cards are issued by over 165 financial institutions and can be used at more than 26 million merchants, 1.9 million ATMs and to date over 5 billion UnionPay cards have been issued. Today's announcement will likely make China the fifth country to support Apple Pay, with Spain, Singapore and Hong Kong also getting limited support for Apple Pay sometime in 2016. Today's Apple Pay announcement is a big deal after a rather lackluster year for the service outside of the US. After launching in the US on October 20, 2014, Apple Pay finally expanded beyond the US in July this year when it lauched in the UK. But the UK launch was a bit of a shambles with just eight banks supporting the service at launch and just one of the "big four" – worsened by one of the banks delaying their support by a couple of weeks at the last minute. Then in late October this year Apple announced a partnership with American Express to bring Apple Pay to Australia and Canada, which it did in mid-November. Apple was unable, or perhaps unwilling, to make a deal with local banks – with numerous reports which say there was a deadlock between Apple and the banks over how much Apple should be paid from each transaction made using Apple Pay. The same limited, American Express only, Apple Pay support will roll out to Spain, Canada and Hong Kong starting in 2016.